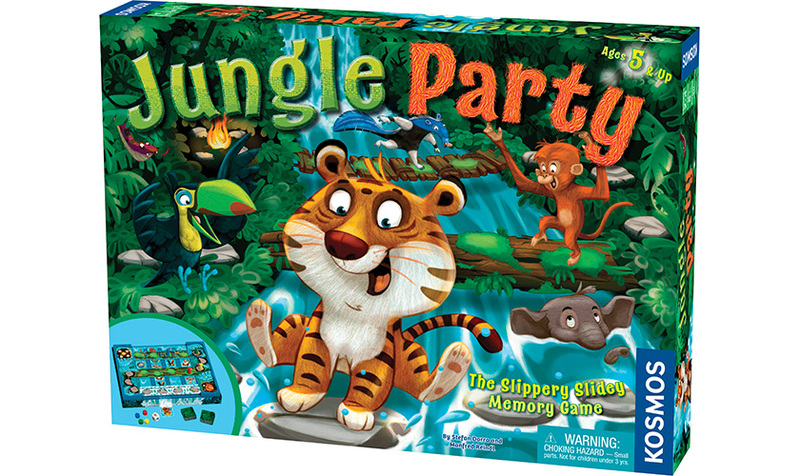 You’re invited to a party in the jungle! Tonight, the whole jungle gang is planning to plunge into the river. Can you remember where they are all hiding as they float down the river? Your adventure begins at the campfire and leads you over a wobbly bridge, past glowing fireflies, across a mossy log, and next to the edge of a thunderous waterfall. The first player to reach the toad king wins the game. In this wildly fun adventure, you have to remember which animals are swimming in the river and which ones are hiding under the bridges. 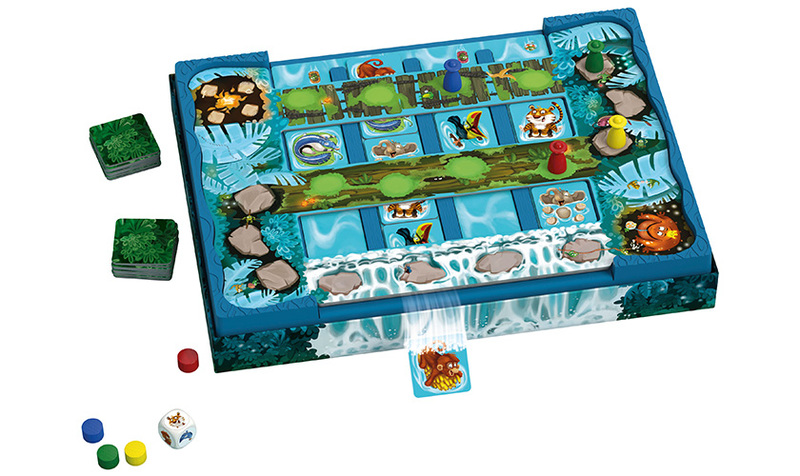 Whoever slides the right animal tile into the right river channel will be a step ahead of the others on their expedition to reach the toad king! 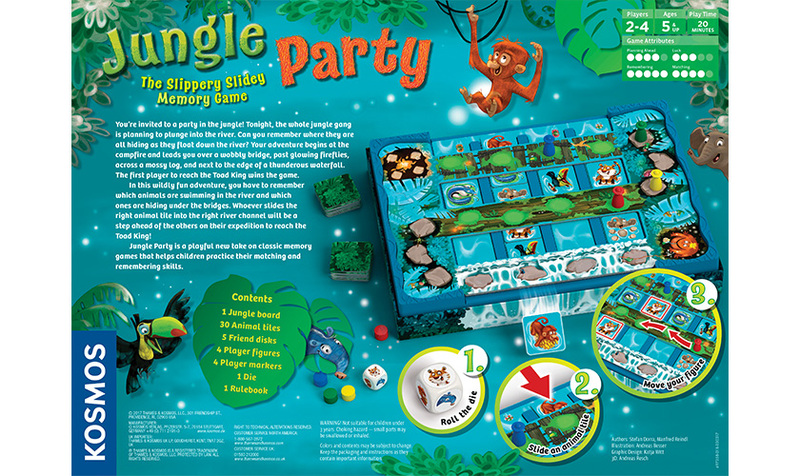 Jungle Party is a playful new take on classic memory games that helps children practice their matching and remembering skills.